It's one of those silly little ‘life achievement awards' we like to accredit ourselves with every now and then. Do you know what we mean? So now we've been living on Harvard's doorstep for the last 3 months, we're finally ‘qualified' to tell this story. It's Greg here. Being in Harvard, and walking/jogging through the campus for the last three months, kind of reminds me of when I started out at the University of Otago, in New Zealand. Now I was a bit of a late starter! I didn't actually begin to study until I was 29, and the really good thing about that was – all ‘the kids' just starting out were partying all the time, and I was working hard, so it made it really easy for adult students like me to get really good marks. Now the point is: when I started University, I didn't go there with the idea I was going to fail. No! I went there with the intention to work hard, pass my exams, and finish in the minimum three years! I knew it was an education so I would have to work hard for 3 years, and I never once thought I would fail. So what it all boils down to is having a success mindset, and having the right mentality when you're going into something or starting something new. Whether it be an online business, whether it be getting married, whether it be getting an education – either with the Digital Experts Academy or Six Figure Mentors or an Ivy League University. Whenever you begin anything new, you have to have a success mindset. You have to believe it's going to work for you. Seriously – what's the point in starting something if you're setting yourself up to fail, or expecting to fail? That doesn't make sense does it? Hopefully that strikes a cord with you? So just drawing a likeness to Greg's tertiary education: the fees were very expensive, it was a big commitment both in money and time, and he come's out with a double degree at the end, but still has to find a job in order to recoup the investment of TIME and MONEY! You know Greg started in his late 20's, (he's a late starter) but he just embraced education, and University life, and life-long learning. He changed his career, changed his outlook, and we changed our lives as a result! So anything is possible at any age. Another example of life-long learning is when we set up our online business! We started out later than most – we were in our 40's (actually Greg was 45 when he quit his job), but we're still keen to learn more if it's going to benefit our lifestyle. Maybe you believe in lifelong earning too? Maybe you agree you should always be learning? So just food for thought to consider! If you want to change your life or change your career, you need to continually be educating yourself. We hope you enjoyed our video and got something out of it. What we’re out to achieve here is a striking comparison between the time/money/mindset investment needed for a university education and the time/money/mindset investment needed to learn how to market online in order to change your lifestyle for ever. So we encourage you to think about that and think about the effort required to build an online business in the perspective of studying at Uni for 3 years!! Decide to educate yourself on leveraging the internet so can take control of your own live/time/freedom. Learning about working online, being an affiliate marketer and running an online business is a life long skill. We learned all we know from Six Figure Mentors – and we love the authenticity and integrity of their training and education. What's more, we love their business system as it removes the hurdles from the steeplechase – so you don't need to be a techie. So if you're serious about building a profitable online business, now is the best time to start. Get educated and start living and earning as you're meant to. 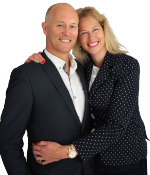 If this all seems a bit foreign or you still have some reservations whether you're up for it, our Millionaire Mentor Stuart Ross has arranged a private invitation-only Webcast to help you out.